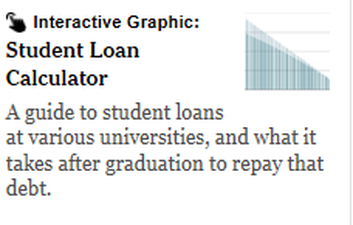 The most recent news about colleges and careers. 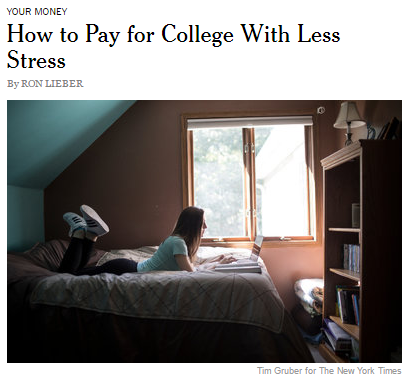 "How to Pay for College With Less Stress"
Ron Lieber's article proposes one college savings, borrowing and paying plan that is attainable for most people. In summary, save a quarter of the college cost of the child's firs 18 years. Pay another quarter out of current income over the next four years. Borrow the rest and split among the family. 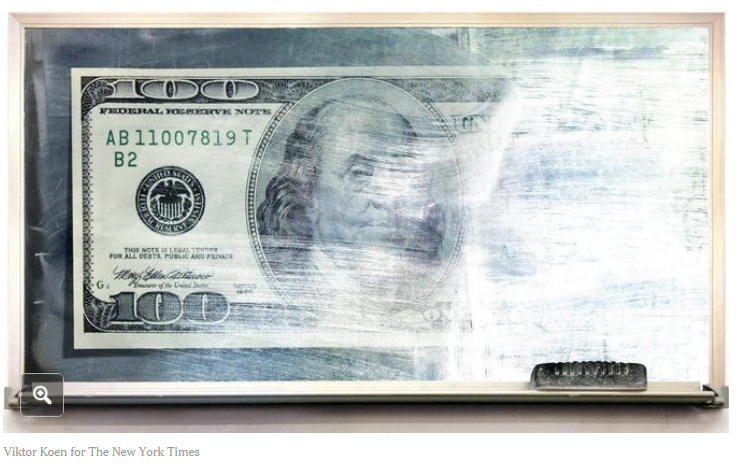 One of the major decisions for those entering college is how to finance their education. This student loan calculator requires the user to input the college he/she is attending and then it will produce the average student debt at that college and what you will pay in principal and interest over the next ten years. "A Brighter Job Market, for Some"
Tara Siegel Bernard's article investigates the unemployment rates of recent college graduates based on the major. 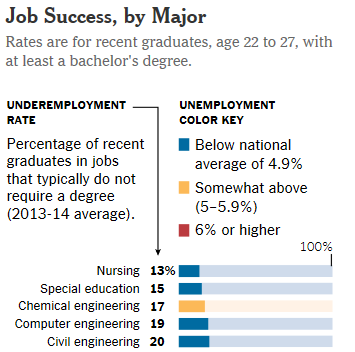 Unsurprisingly, nursing and engineering had the lowest unemployment rates (2% and 2.8%). The median wage for recent graduates with a bachelor's degree was $43,000 vs $25,00 for individuals with a high-school diploma. 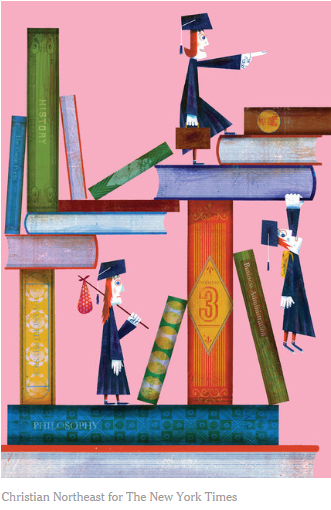 "Career Coaching for the Playdate Generation"
"Why Upperclassmen Lose Financial Aid"
Rochelle Sharpe's article reveals the hidden truth that face college upperclassmen: Fine print, academic requirements on grants and tuition increases can have a detrimental effect on college debt. "Will You Sprint, Stroll or Stumble Into a Career?" The path to a satisfying career takes many forms. 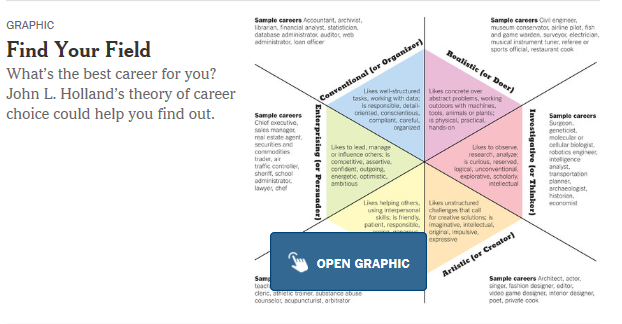 Jeffrey Selingo's article highlights three types of students and their career journeys. An illuminating article that provides insight and revelation regarding the realities and misconceptions of our cultural mindset of college as a connection to a career.